David T Wilbanks, What Are Some of Your Favorite Pieces of Fantasy Fiction? When I decided to make February Sword and Sorcery Month here at Horror Delve, the first person I thought to request a list of favorites from was author David T. Wilbanks. He’s well-versed and passionate about. the genre and has even written some of his own (See my review of HELLFIGHTER here: https://horrordelve.com/2013/11/05/hellfighter-by-david-t-wilbanks-review/). He’s also one of my absolute favorite people to follow online. If you don’t already, you should definitely follow him on twitter at @davidtwilbanks, on Facebook at https://www.facebook.com/pages/David-T-Wilbanks/1483389385258221, or read his blog at http://davoortwilbo.blogspot.com. I guarantee you’ll be happy you did. David T. Wilbanks, What Are Some of Your Favorite Pieces of Fantasy Fiction? David: Long ago when I was a bored suburban youth, I would visit my hometown library on the hunt for books for some much needed escapism. One of the first, if not the first, fantasy series that really gripped my young imagination (and made me rabid for more of the same) was the Tarzan books by Edgar Rice Burroughs; here was a hero whom a shy, quiet kid could root for because the jungle lord was fearless and took no crap from no one, and pity the fool who pissed him off or hurt one of his family or friends–human or animal. 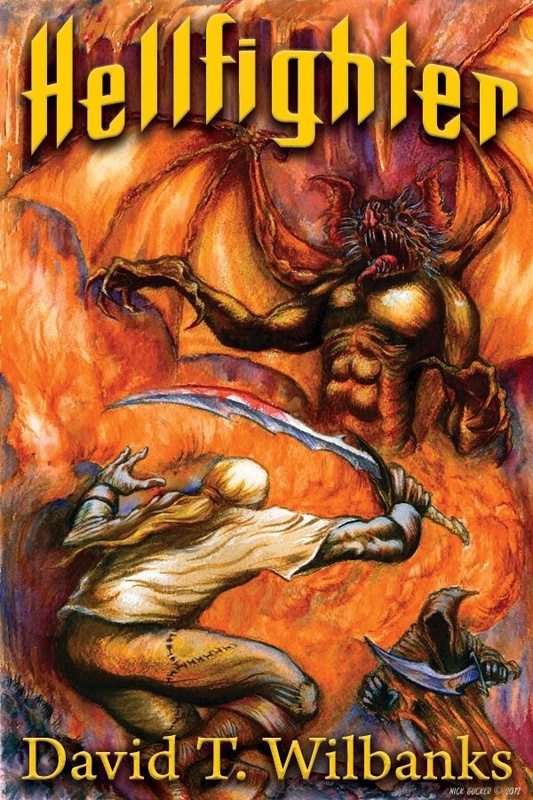 A few years after that, I discovered the role-playing game Dungeons and Dragons and at about the same time began reading the Conan stories by Robert E. Howard as well as Tolkien’s The Hobbit and Lord of the Rings–wonderful stuff, and both are classic authors but for different reasons; Howard invented the pure adventure of “sword and sorcery” while Tolkien was writing something more epic, which would later become known as “heroic fantasy”. Alongside these amazing reads were Moorcock’s Elric books (as well as other eternal champions of his invention, like Hawkmoon); these Elric books were weirder than what I was used to, and that eerie strangeness certainly appealed to me even though I was not yet a full-blown horror fan at the time. There was much more fantasy to read back then and thereafter (as well as sf), but for something more recent you really can’t beat the massive Song of Ice and Fire cycle by George R.R. Martin, which is packed with great characters and fantastic storytelling–and now, as I’m sure everybody knows, it has been turned into one of the world’s best-loved television series! That’s five authors mentioned but to list just one more I’ll drop the name “David Gemmell”; so far he has done me no wrong, and I am quite excited about reading more of his amazing novels. NextRaven Bower, What Are Some of Your Favorite Pieces of Fantasy Fiction?